It is so rewarding when you hear a great album by a new artist that you want to play over and over. In these digitally driven times, its sometimes even more rewarding when you get to experience that album on vinyl, not just from a stream or a CD. 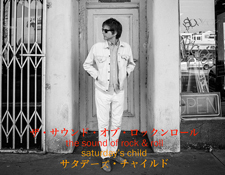 Here are two modern rockin' gems you should check out if you like all things related to power pop, new wave, classic rock, catchy hooks, memorable riffs and all in all good songwriting. Bird Streets is a vehicle for NY based singer songwriter John Brodeur. 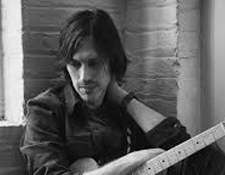 This terrific debut was produced by Jason Falkner and is filled with clever wordplay, earworm-worthy melodies and that inexplicable "just right" feel that distinguishes a simply good record from a great one. I reviewed it last Fall -- click here to jump to it -- and hearing it on LP with fresh ears was a fine experience. Like visiting an old friend, the songs I liked before sound even better now. The vinyl experience warms things up a bit more, what is probably a digital recording at its root. That is not a bad thing, mind you. 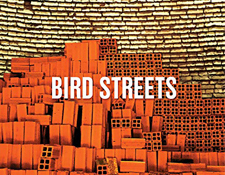 But since some of you out there in audiophile-land like to know that sort of detail I'll bring it up; make no mistake, for all its "vintage" flavor, Bird Streets is definitely a modern record. The vinyl pressing from Omnivore Records is solid, dark and well centered. Its mostly quiet, though I heard some surface noise a couple of times but nothing that was any sort of deal breaker. In fact the vinyl pressing sounded solid as 21st Century records go when I played it on my turntable with the Sumiko Pearl cartridge. 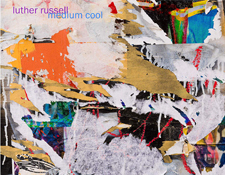 Medium Cool is a new album from Luther Russell, an artist I was planning on reviewing off the CD initially because I really liked the music. But then his label sent me the LP which was a nice extra to write about. Like Bird Streets, this is one of those records that nails "it" right out of the gate. Working from a Big Star root, Luther Russell has internalized his influences rather sweetly right down to the production flourishes that made that Memphis band so legendary. So expect to hear lots of that plunky-twangy stripped down Fender Stratocaster electric guitar feel coming through the speakers when you put on sure fire should-be-radio-hits like "Corvette Summer" (a song which has a killer guitar solo on it, by the way). But then he mixes things up in fine Alex Chilton fashion with a stripped back acoustic guitar piece that builds up with orchestral sounds and such. Russell is also a rare bird in that he is able to pull off lyrics about rock 'n roll and girls who are into rock 'n roll without sounding tired or cliched. Somehow it all works. The standard vinyl pressing is fine as indie releases tend to go. Like the Bird Streets album, I am starting to realize that some records -- actually, both of these I am reviewing here -- sound significantly better when played with a more -- paraphrasing the words of turntable set up expert and journalist friend Michael Trei -- "forgiving" cartridge/stylus set up than something super fancy and higher end. This is rock 'n roll in the 21st Century after all, so you can anticipate that the master recordings were probably digitized at some point in the production food chain, and this is not really a bad thing. Given tight non-extistant budgets of most aspiring artists they don't necessarily have the bucks to get their records analog mastered by Kevin Gray at Cohearant and pressed at Pallas in Germany. That doesn't mean these are lesser records -- no, in many cases these are the best records because its all about the music, more than ever, carried by pure passion. So I found that Medium Cool sounded a lot better on my secondary turntable -- which is fitted with a Sumiko Pearl cartridge for most LP records -- than my primary platter player, a Music Hall MMF 7.1 (with Goldring 2400). I have always understood why some vinyl-centric audiophiles get upset over pressing quality, but I am also starting to wonder if the easier solution might be to have different cartridges for different applications. I plan to write about this in the future but keep it in mind. Either way, you should follow the Bob Dylan-inspired advice tucked away in the corner of the liner notes insert to Medium Cool: "Play F_____ Loud!"